When her grandmother is injured while trying to learn the Salsa, Marisol Acevedo brings her to the hospital where she meets Dr. Alejandro Lares. She soon learns that the handsome, brilliant doctor will be attending the evening Salsa class where she is an assistant teacher. Alex isn’t enthusiastic about learning to Salsa for his cousin Pablo’s wedding, but his ideas change when he discovers vivacious Marisol will be one of his teachers. As they spend time together both on and off the dance floor, he can’t deny the attraction between them. But Alex, betrayed by his former fiancée, finds it hard to trust this beautiful woman. Marisol dealt with her own heartache years ago, but can’t help her growing feelings for Alex. To complicate matters, trouble is brewing in class when Alex’s cousin becomes attracted to Marisol’s friend. 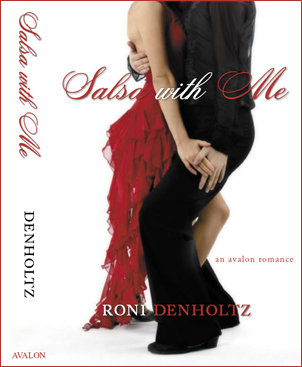 With meddling families, friends and Salsa students surrounding them, can they dance their way to a happy ending?